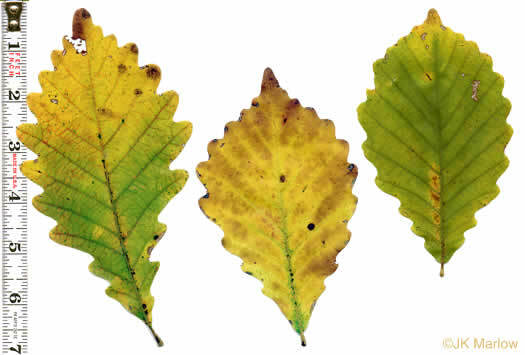 Your search found 8 image(s) of leaves of Chestnut Oaks and Chinquapin Oaks. 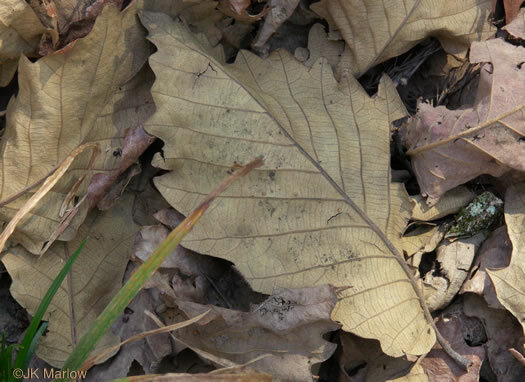 Leaves mostly obovate, w rounded teeth, hairs of leaf undersurface in clusters, per Weakley's Flora. 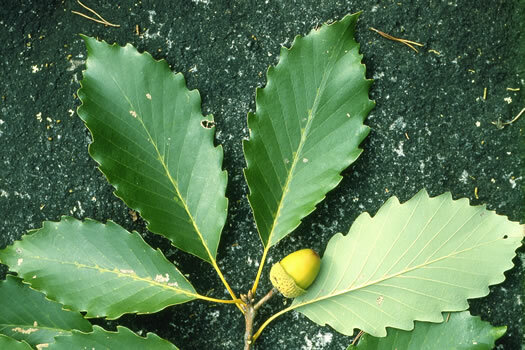 Leaves generally broader relative to length than those of Chestnut Oak, per Native Trees of the Southeast, An Identification Guide. 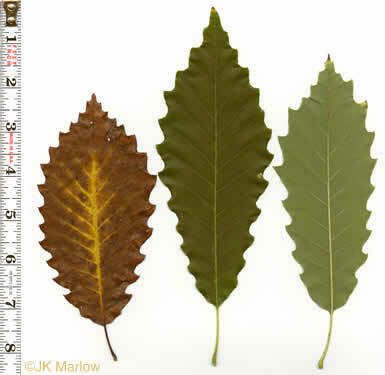 Leaf blades nearly elliptical, margins coarsely and irregularly toothed, per Native Trees of the Southeast, An Identification Guide. 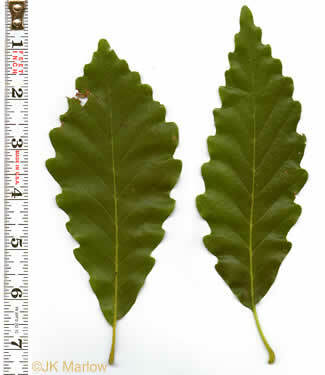 Leaves mostly obovate, with rounded teeth, teeth sometimes with a minute mucro, per Weakley's Flora. 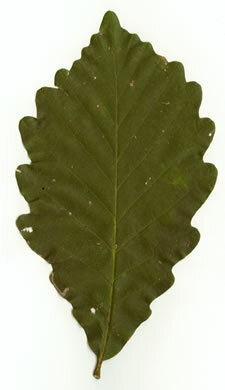 Evenly spaced lateral veins each terminate in a large rounded tooth, per Trees of the Southeastern United States. 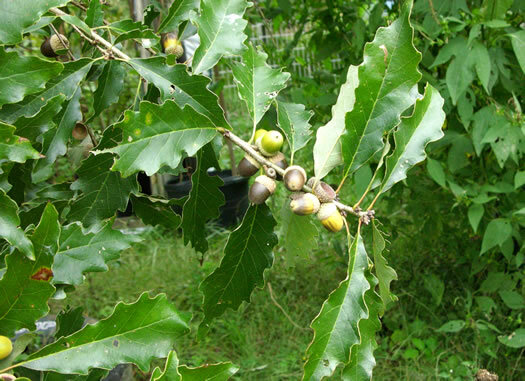 Leaves toothed similarly to Q. montana, but sharp pointed & callous-tipped, per Native Trees of the Southeast, An Identification Guide. 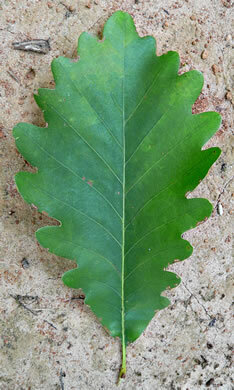 Similar to Q. muehlenbergii but shrubbier; leaves with 3-8 teeth per side, per Woody Plants of the Blue Ridge.